Unifor members in the Dryden, Ontario-based Domtar Pulp Mill and Woodlands operations ratified new collective agreements. 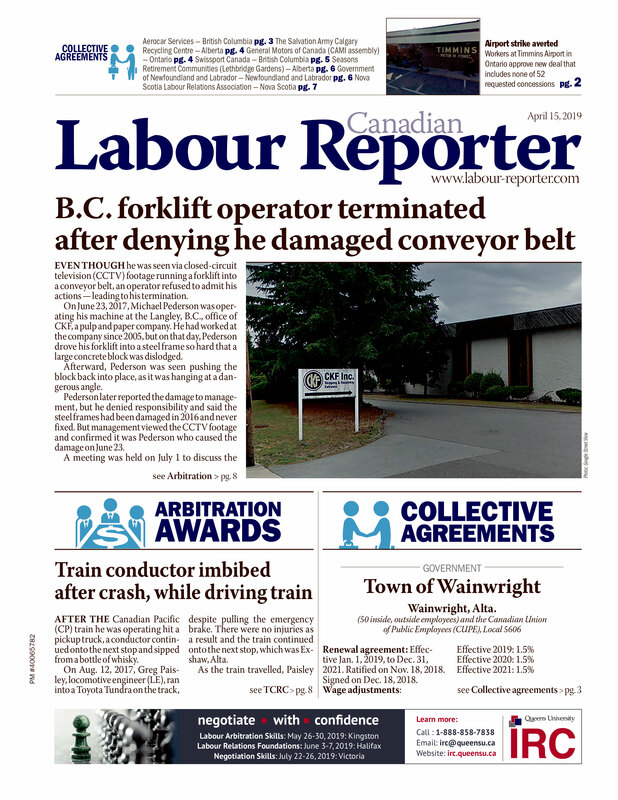 More than 550 employees are affected by the new deals, which were ratified after members voted 80 and 97 per cent in favour of the agreements. Key elements of the agreements included two per cent annual wage increases as well as a $1,000 signing bonus. Trades will see a 75 cent per hour pay increase while Woodlands employees will enjoy increased commuting pay, new paid benefits, overtime banking options and expanded seniority and job posting rights. Improved dental and health benefits were negotiated for all employees, along with a new three cent per hour employer paid education leave. “We’re proud that these agreements meet all elements of Unifor’s Eastern Canada pulp and paper pattern,” said Unifor’s national president Jerry Dias. The Easter Canada pulp and paper pattern was established by the union last year when it reached an agreement with Resolute Forest Products.